There are 8 reviews of Black Vetiver. Yes this is good! The tar and pimento, if you want to go by the notes, make it a spicy and rich vetiver, yet not too heavy. It's on the lighter side but has great longevity and solid sillage. In fact, it feels perfectly balanced. It is similar to Tom Ford's and even Givenchy's to some extent so it definitely keeps great company. Recommended. Didn't smell like I though it would. Opens up really fresh with lots of citrus. Almost like an classic Italian men's fragrance. The vetiver comes into play around the hour mark and it's not really Black. Quality ingredients as you would expect for the price! Phaedon Black Vetiver is an interesting style for a vetiver fragrance, not dark or dirty, yet not entirely light and airy either. Lemon leaves cleans up the top and makes it fresh smelling at the outset. As the lemon fades (fairly quickly) the spicier pimento/pepper note comes forward. It's almost a cinnamon or chili like note and you get the drier, salty, grassy vetiver element as in TF Grey Vetiver or The Different Co's Sel de Vetiver. It's on the fresh side of clean vetiver and not dark or dandified as in a classic vetiver composition. It stays pretty linear and it's certainly nothing boring by any stretch, but one that should definitely be sampled before purchase at $160 a bottle. Personally, I liked it a lot. Great longevity and a generous sillage from two sprays. For those that like a slight spicy clean scent, Black Vetiver is worthy. 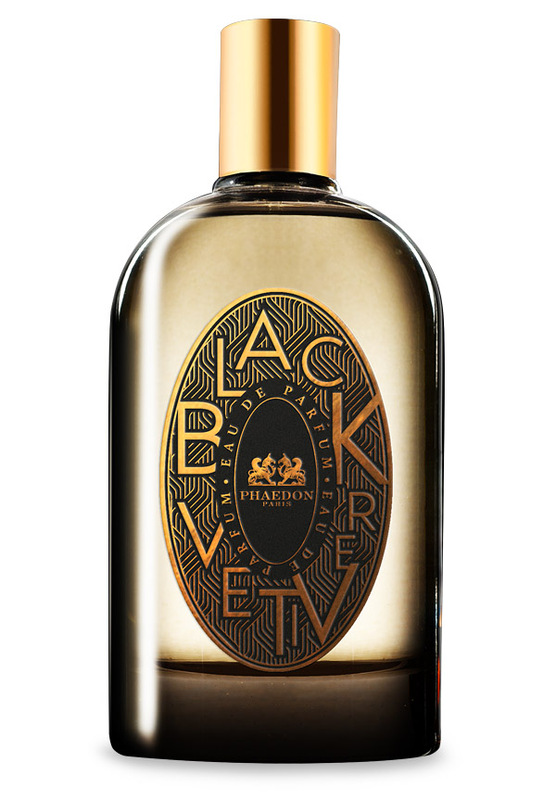 Phaedon Black Vetiver isn't quite as dark as it sounds---a pleasant, agreeable mix of vetiver, black pepper, and lemon. It's roughly about as dirty as I like vetiver to be (Chanel Sycomore pushes the threshold slightly). It's slightly more cold weather-friendly but it probably wouldn't be problematic to wear, as in too cloying, in the summer as well, given that the lemon brightens it up and the vetiver is about midway between fresh and dirty, with the pepper not being applied too heavily, either. In a similar sense, it's slightly masculine but overall a unisex fragrance. A nice option but for the standard Phaedon EDP pricing of $160 for 100ml, a bit of a stretch, unfortunately, but maybe I'd consider it at discounted pricing. As a vetiver lover, I find that Black Vetiver holds up to it's name. At first spray I smell pure vetiver, then gently mixes with the citrus and pepper. I can actually smell the vetiver throughout the day. I have worn it in the hot South Florida days, and it balances out very well. Longevity is very good. There are no member images of Black Vetiver yet. Why not be the first?